This review discusses the complications of nutrition, growth, neurocognitive function, and mineral and bone disorder in pediatric chronic kidney disease. We discuss the most recent evidence-based methods for evaluation and prevention of these complications in addition to treatment strategies to address the complications and mitigate adverse effects. Frequent nutritional assessment is important, particularly for infants and young children. Due to anorexia, oral aversion, and dietary restrictions, weight gain may be difficult to achieve. Adequate nutrition is important for growth. Children with CKD tend to be short, which can impact quality of life and social achievements. Once nutrition is optimized, growth hormone is an effective, but underutilized strategy to improving terminal height. Mineral and bone disorder is a difficult but common complication of CKD which may present with and be driven by abnormalities in calcium, phosphorus, and parathyroid hormone levels. Treatment strategies include dietary phosphorus restriction, phosphorus binders, and inactive vitamin D and active vitamin D sterols. Effective treatment may reduce the risk for bone deformities, growth abnormalities, fractures, cardiovascular disease, and mortality. Children with CKD also suffer from cognitive difficulties. Control of anemia, aggressive childhood nutrition, and decreased exposure to heavy metals (via dialysate and dietary binding agents) has provided substantial improvement to the more profound neurocognitive sequelae observed prior to the 1990s. Current prevention of cognitive sequelae may best be directed at improved blood pressure control and augmented school support. Pediatric CKD has systemic ramifications and can impact all aspects of normal development, including nutrition, growth, bone and mineral metabolism, and neurocognitive function. Regular evaluation for disease complications and prompt treatment can reduce the untoward effects of CKD thereby improving the quality and duration of life. Dr. Harshman is funded by the National Institute of Diabetes and Digestive and Kidney Diseases (1K23DK110443). Amy J. Kogon and Lyndsay A. Harshman declare no conflict of interest. • Ayestaran FW, Schneider MF, Kaskel FJ, Srivaths PR, Seo-Mayer PW, Moxey-Mims M, et al. Perceived appetite and clinical outcomes in children with chronic kidney disease. Pediatr Nephrol. 2016;31(7):1121–7. 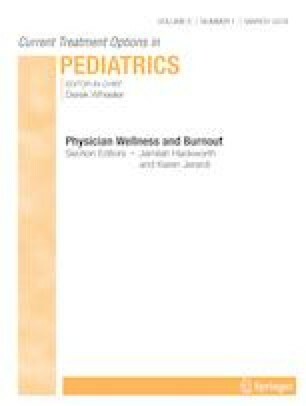 https://doi.org/10.1007/s00467-016-3321-9 This paper utilized data from the Chronic Kidney Disease in Children (CKiD) study and highlights the importance of self-reported appetite in the pediatric CKD population. Lower appetite is directly related to diminishing renal function and poorer clinical outcomes, including more hospitalizations and lower quality of life. •• Ketteler M, Block GA, Evenepoel P, Fukagawa M, Herzog CA, McCann L, et al. Executive summary of the 2017 KDIGO Chronic Kidney Disease-Mineral and Bone Disorder (CKD-MBD) Guideline Update: what’s changed and why it matters. Kidney Int. 2017;92(1):26–36. https://doi.org/10.1016/j.kint.2017.04.006 The KDIGO 2017 Clinical Practice Guideline Update is a selective update to the 2009 KDIGO mineral bone disease guidelines. The guidelines are adult- and pediatric-specific and cover the spectrum of non-dialysis CKD to transplant. Pertinent to this update is the diagnosis of bone abnormalities and treatment of CKD-MBD by phosphate lowering and calcium maintenance. • Hooper SR, Gerson AC, Johnson RJ, Mendley SR, Shinnar S, Lande MB, et al. Neurocognitive, social-behavioral, and adaptive functioning in preschool children with mild to moderate kidney disease. J Dev Behav Pediatr. 2016;37(3):231–8. https://doi.org/10.1097/DBP.0000000000000267 The impact of CKD in early development has been widely documented in advanced CKD/ESRD. This paper utilized data from the Chronic Kidney Disease in Children (CKiD) study to detail neurocognitive outcomes for pediatric patients with more mild to moderate CKD. Findings suggest relatively intact functioning for preschool children. Higher eGFR and lack of anemia were associated with more intact developmental level/IQ.